Trouver ce livre chez Amazon.com | buch7.de | eurobuch.com | buchhandel.de | books.google.com ASIN=2951960778, Category: Photo book, Language: F, cover: PB, pages: 80, year: 2010. It's lively, It's poetic, It's colourful and warm. 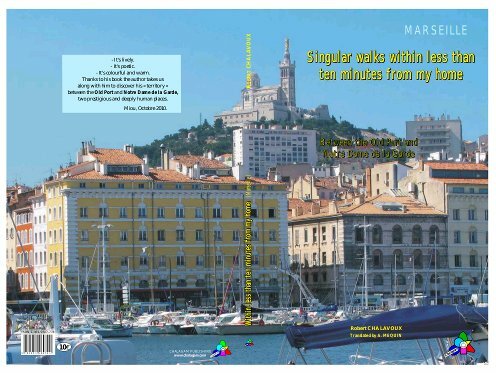 Thanks to his book the author takes us along with him to discover his "territory" between the Old Port (Vieux Port) and Notre Dame de la Garde, two prestigious and deeply human places. 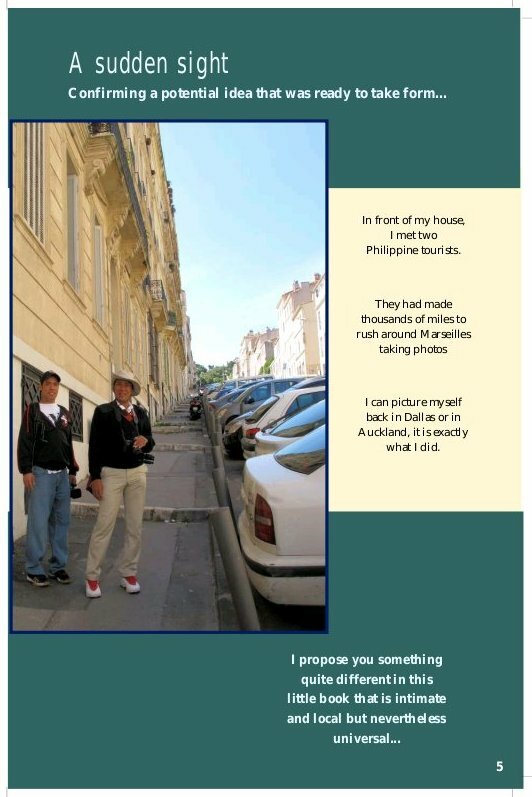 Format 16 cm x 24 cm paperback, 80 pages with more than 100 photos, mostly taken by the author.